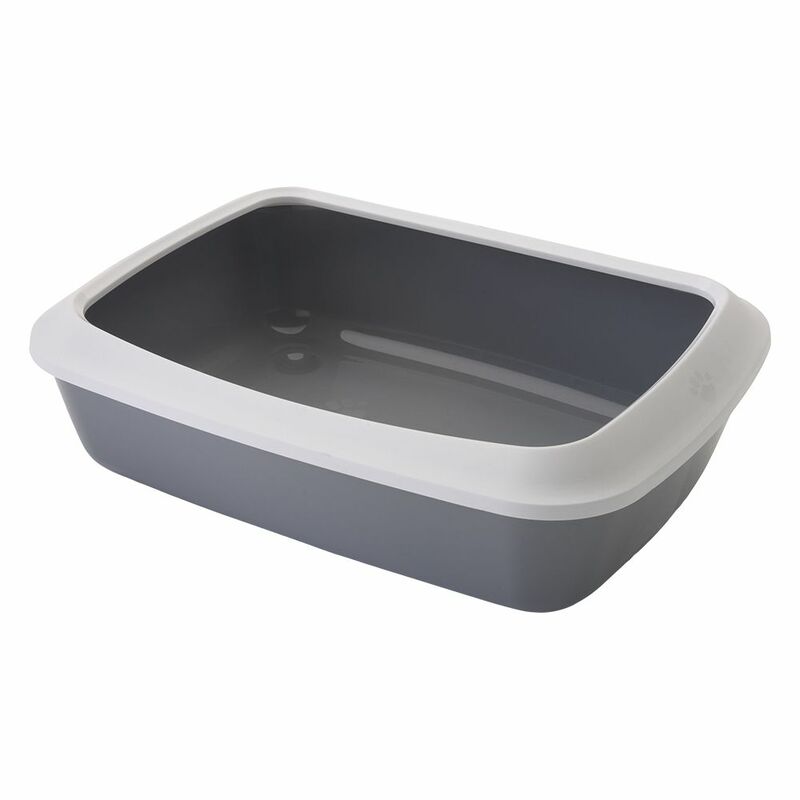 The Savic Iriz Cat Litter Tray with Protective Edge - 42cm is the ideal litter box for kittens, elderly or sick cats, who can't jump easily, or don't like using enclosed litter boxes. Thanks to the protective edge, cat litter stays inside the tray and the surrounding area stays clean. The edge of the Savic Iriz Cat Litter Tray with Protective Edge is removable and prevents litter from spilling out of the tray. The entrance is extra low, so that all cats can climb inside without difficulty. Kittens can be afraid of using enclosed litter boxes, making this open tray an ideal alternative. Available in fresh green or subtle grey, combined with a white border, the Savic Iriz Cat Litter Tray with Protective Edge is guaranteed to look great in your living space. The Savic Iriz Cat Litter Tray with Protective Edge - 42cm at a glance: Colour: Tray: bright green or light grey Protective edge: white Removable protective edge Ideal for kitten, elderly or sick cats Made in Belgium Dimensions: Total: 42 x 31 x 12.5 cm (L x W x H) Entrance height with edge: 12. 5cm Entrance height without edge: 10cm Sizing for Savic Bag it Up Litter Tray Bags - Medium: Suitable for trays up to: 42 x 32 cm (L x W) Contents: 12 bags More information about Savic Bag it Up Litter Tray Bags can be found here: Savic Bag it Up Litter Tray Bags. Price just £5.49! Click here to buy now!